We have built our pricing structures to meet the needs of all of our clients: large or small. We have developed our pricing structure keeping in mind the needs of our customers, who range from large photo studios to freelance photographers. Pricing depends on the scale of the project, its duration, complexity, and level of skill required. For Real Estate image editing, our pricing starts at US $0.50* onwards for Stills, $0.80* onwards for HDR work, and $1.50* and upwards for Panoramic images. For Image Clipping services, our pricing scale ranges from US $0.30* and upwards for simple work, and $1.50* onwards for complex work, depending on the complexity of your editing requirement. Our Portrait Editing services start at US $0.35* for simple work, and from $1.50* onwards for complex images. 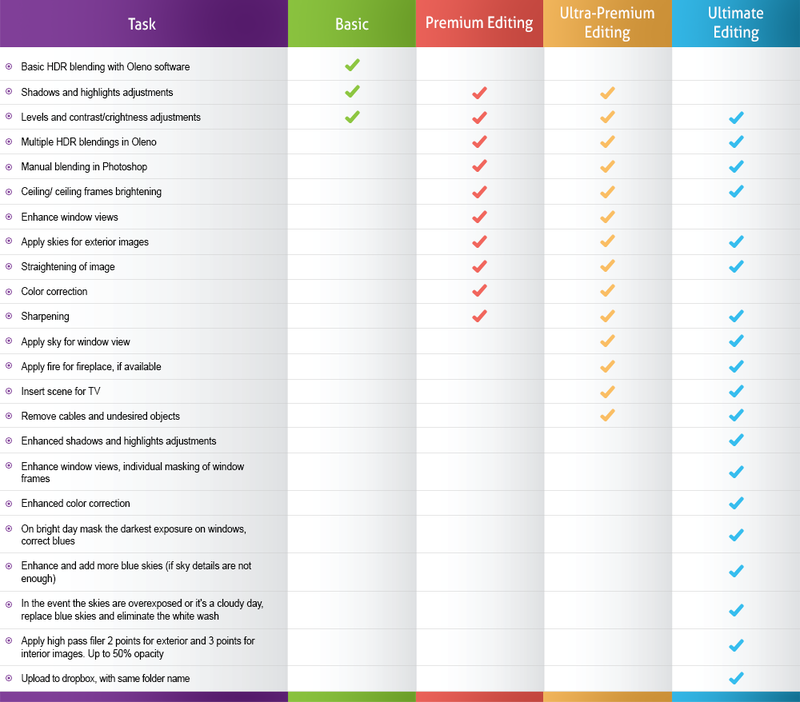 For larger volumes, we can even provide you with dedicated full-time image editors starting at ecnomical pricing. This is very convenient for those times when you experience spikes in work volumes, or if your ongoing requirements need full-time staffing. We offer significant discounts for bulk work. Please enquire with us for details. Contact us with your inquiries and we will be happy to provide you with a free, no-obligation quote within a day!